Hey Bike Commuting Ladies and Gents! 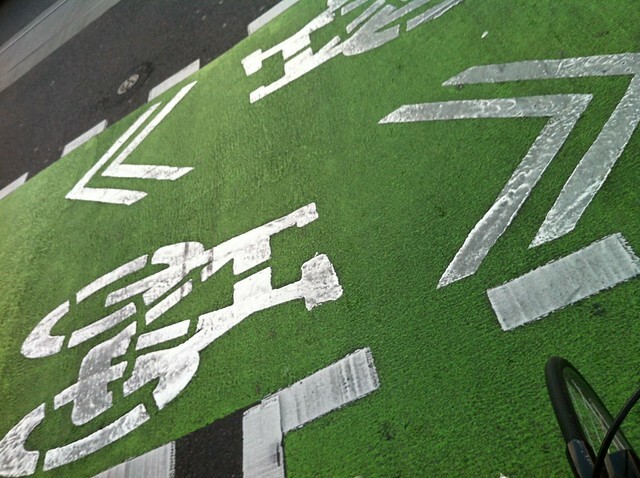 As you know, the Bike Commuters staff are not about blasting you with Kickstarter bike-related paraphernalia, since gods know that there are fluffy piles of that out there in internet land… like bunnies in a pillow fight, yo. But once in a while, there comes a Kickstarter campaign that tickles our fancy. So we are throwing out some virtual Kickstarter Love for the SHY-SPY GPS/GSM Tracker for Bicycles. Stealing bikes is mean, but real. Short of bringing your bike indoors with you on a leash at all times (“What, you’ve heard of guide dogs for the visually impaired? 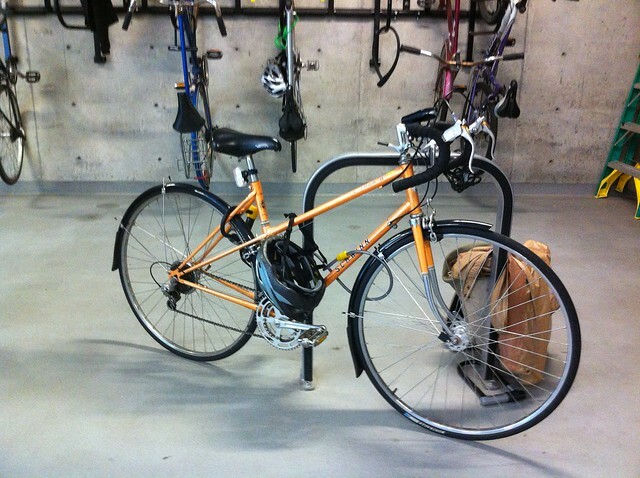 This is my guide bike, and I’m car impaired, okay?“) there comes a time in every bike commuter’s life when they have to address security. 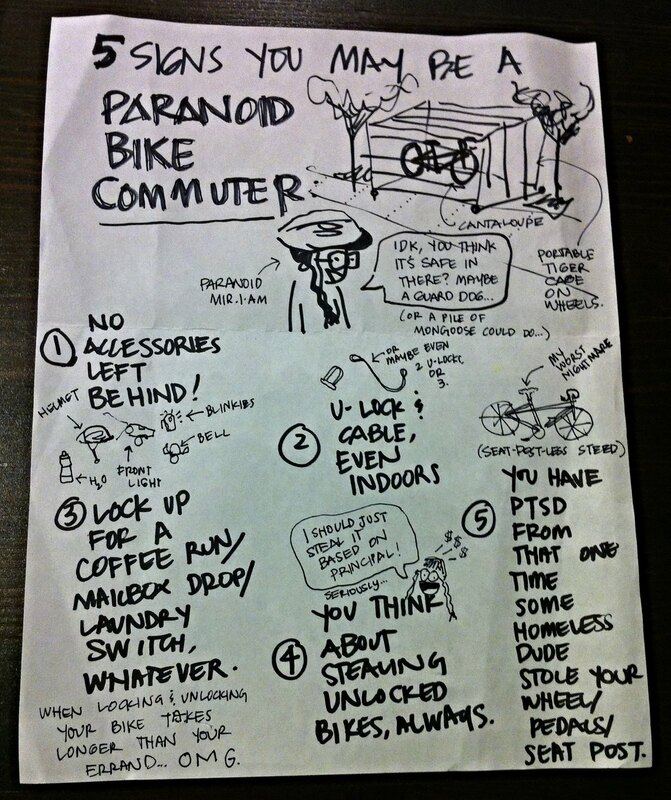 Bike theft is a problem in all cities and neighborhoods, despite the cycle-owner’s best efforts. Cycle gators, in an effort to protect their bike offspring, may go so far as to register in free city-wide systems, implant smart locks, or OnStar the hell out of your ride. What? Guide Dogs and Bikes… obvious combination. Inexpensive Cycle computers: to record the distance, speed, total travel time, but no geolocation data. GPS trackers: There are a lot of GPS trackers out there, in form of wearable watches, or mountable on your stem or handlebars. Professional models could have many additional functions such as power meter, heart rate and cadence sensors; And yeah… they cost a fortune. 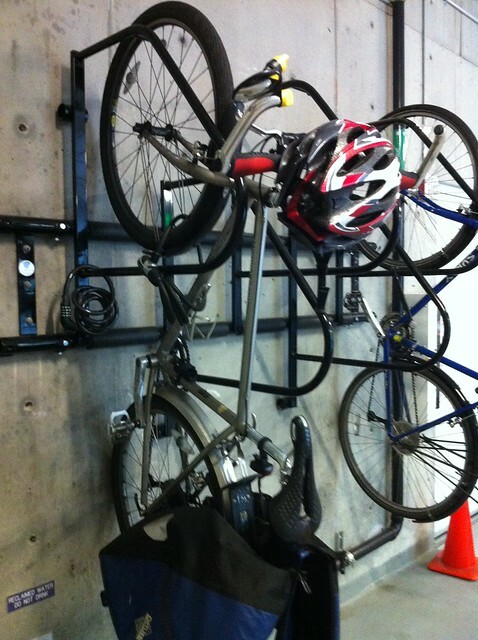 So you have to protect it as well; Mount it when you ride and take it away when you leave the bike unattended. Smartphones: Using our cellphone along with popular sport tracking apps such as Endomondo, Strava and Sportstracker is another convenient choice; There is a compromise though and it’s the risk of running out of battery on your mobile phone when you need it the most. With SHYSPY however, you always have a tracker with your bike; The long battery life of 30 hours, lets you track all the activities with no concern of any kind. Using the SHYSPY app you could monitor you activity and/or download it in GPX standard format to be later uploaded manually to major sport tracker platforms such as: Endomondo, Strava and Sportstracker, so you could compare your data with other members and socialize your cycling experience. SHY-SPY GSM is our low cost alternative to GPS tracking. Get inside my seat tube any day, SHY-SPY! Welcome to 2014, people: Mir just got texting, so a GPS tracker that can text me the location of my bike sounds pretty nifty and high-tech. The SHY-SPY can mount inside your seat tube, for incognito theft-tracking action. I’m not so interested in tracking my cycling “performance” while commuting, by I am interested in making my life more like any episode of Get Smart. Click here for the full SHY-SPY Kickstarter details, non Cycle Cynics and skeptics. Enjoy your week and keep your ride safe, however you can! 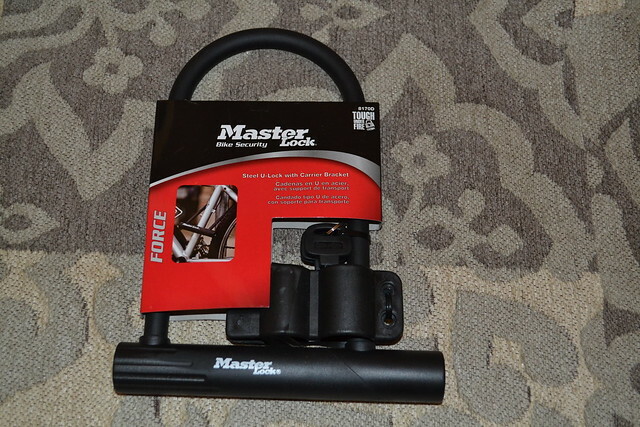 A couple months ago, Masterlock offered to send two of their bike locks to us for testing and review. 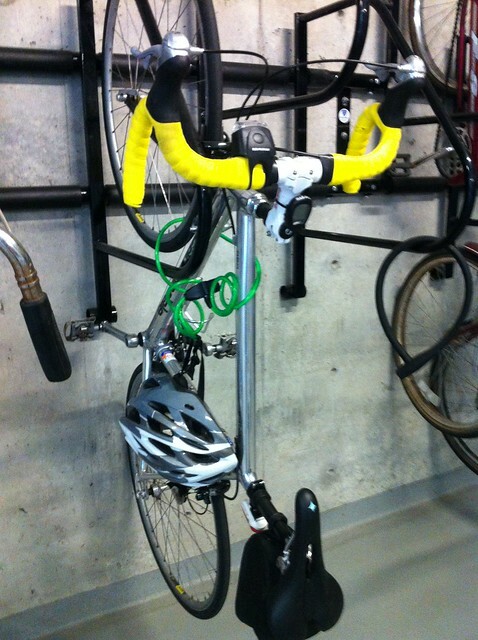 We chose a U-lock and a cable lock, and received the 8170D Force U-Lock and the 8220D Cable lock. We told the folks at Masterlock that we didn’t have a “bait bike” to really test these locks out with, but that we would engage in a bit of destructive testing, where applicable. They were cool with that. More on that in a bit. 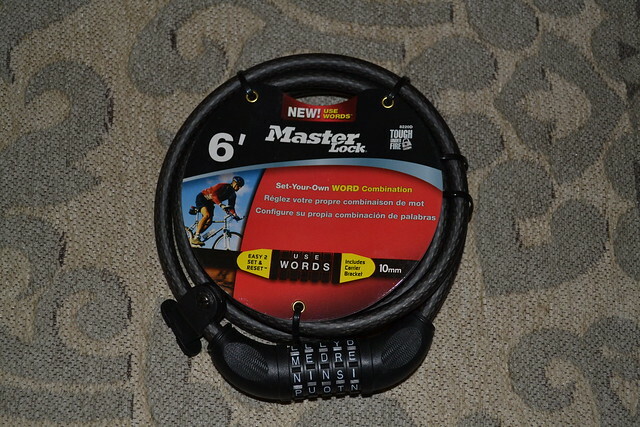 This lock is perfect for quick, low-crime lockups — as you may know, cables aren’t particularly resistant to cutting and are usually recommended for times when a bike will be unattended for a short time (quick trips into the store, or as a backup for another lock). What’s novel about the 8220D is its use of user-resettable word codes rather than numbers. I had a bit of fun coming up with odd words; my favorite being “STASI” (Cold War-era East German Secret Police). 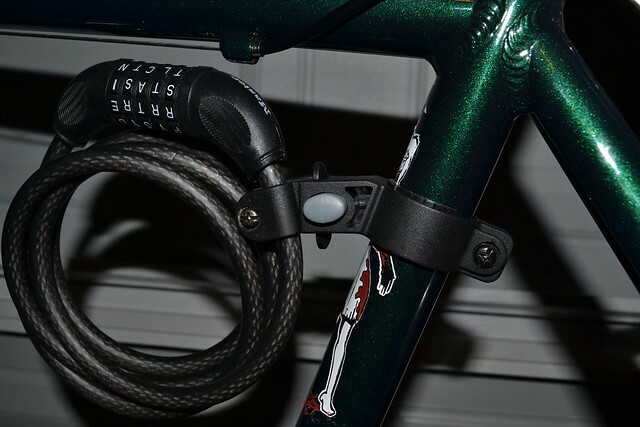 The lock comes with a carrier bracket for mounting to your bike’s frame or seatpost. My seatpost is clogged with stuff, so I went for a frame mounting. The bracket has a push-button quick release and a corresponding “cleat” on the cable itself to stow the cable for travel. The carrier bracket seems a little chintzy (as do the lock brackets from most brands ), but the cable itself is lightweight. The bracket should be able to withstand this sort of weight. 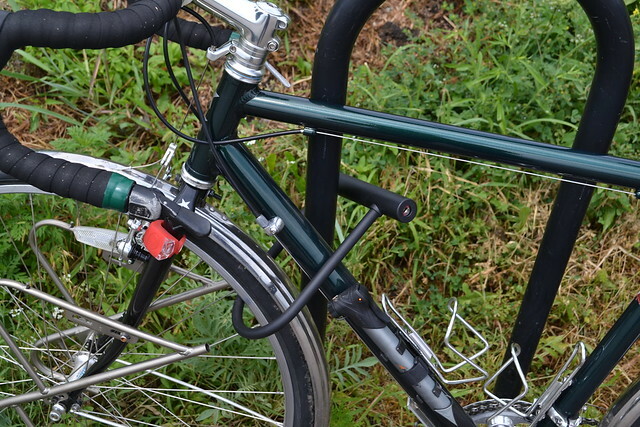 If you choose not to use the bracket, the cable coils up into a neat package for storage in your panniers or backpack. As this is a cable, there was no point in attacking it with tools. I’ve seen (and experienced) much stouter cables cut with simple hand tools. Again, think of cable locks as a low-crime “quickie” or a backup to a beefier lock, and you’ll be fine. –Hardened steel body resists cutting, sawing and prying. –Double locking shackle for superior pry resistance. –Disc key for superior pick resistance. 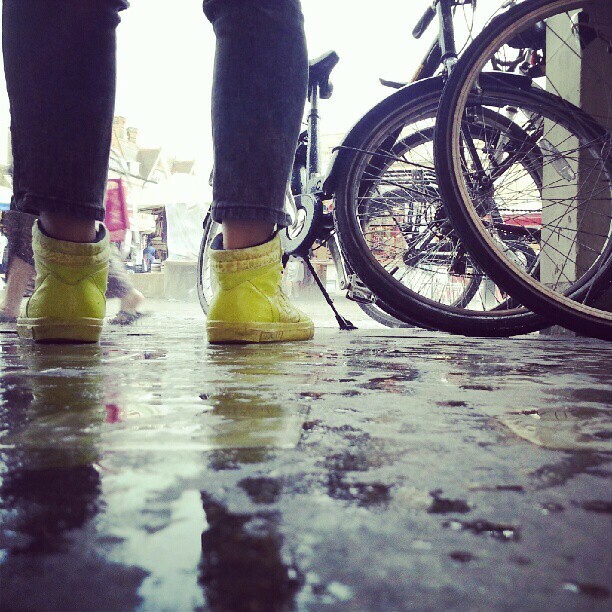 –Vinyl coating for weather and scratch resistance. –Carrier bracket included for convenient storage. On paper, the 8170D seems like a good enough lock: good keyway type (disc rather than tubular) and the features one would expect from a sturdy bike lock. In practice, however, this one is perhaps not so tough. The first alarm bell was “hey, no anti-theft guarantee?” Surely, not all locks come with such a guarantee, but that guarantee has become the industry hallmark for a tough lock, and the lack of it should tell you something about the quality of any given lock. 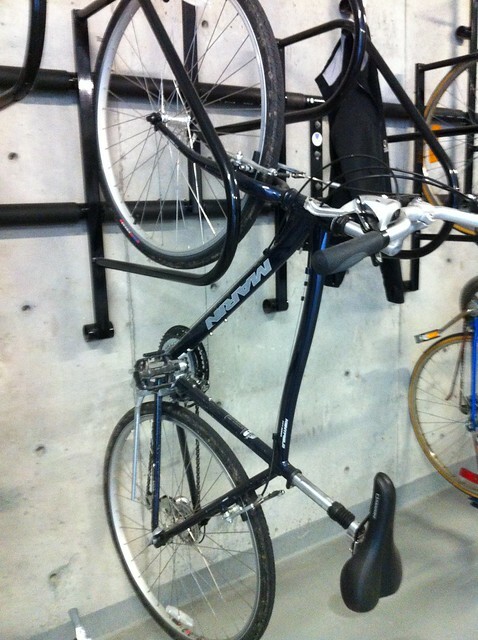 Size-wise, the body is wide enough to swallow the front wheel, the frame and a secure post. Remember that the more space you take up within the U, the less room a thief’s prying tools have to work with. The mounting bracket, as may be expected, was fairly useless. 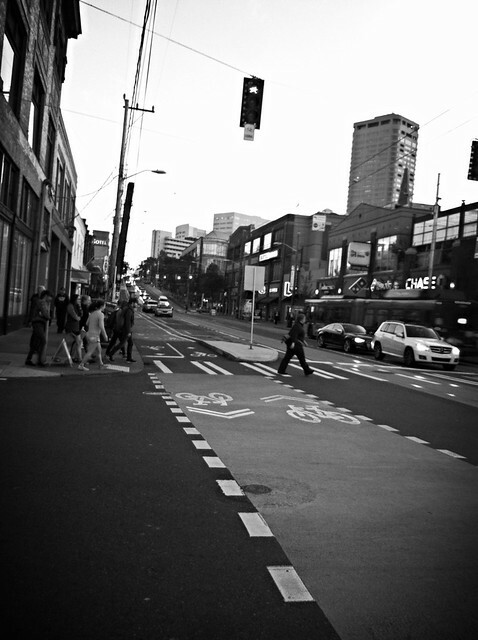 I’ve never seen a serious cyclist use one, as most of them lack security over bumps or are made of flimsy materials. The included bracket here was no exception; it hogged a lot of frame space and comes with a cheap metal cam to secure the lock within the bracket’s body. 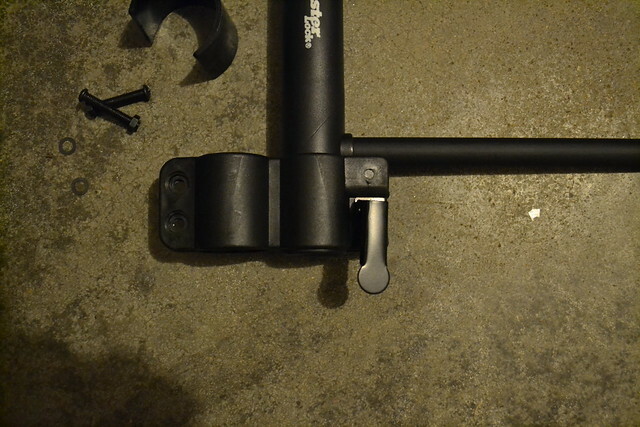 I bent the cam lever the first time I used it and still couldn’t get the U-lock securely into its slot. Do yourself a favor: just bungee the lock to your rear rack, toss it into your pannier, or do as I do and leave a U-lock at all your common lockup points (I’ve got U-locks scattered all over the city). Now, onto “destructive testing”. I’ve got a sizeable tool collection, and what I was going to try with this lock was a series of tests, starting with bolt cutters, then a hacksaw, then a prying tool or bottle jack, and finally an electric cutoff wheel. 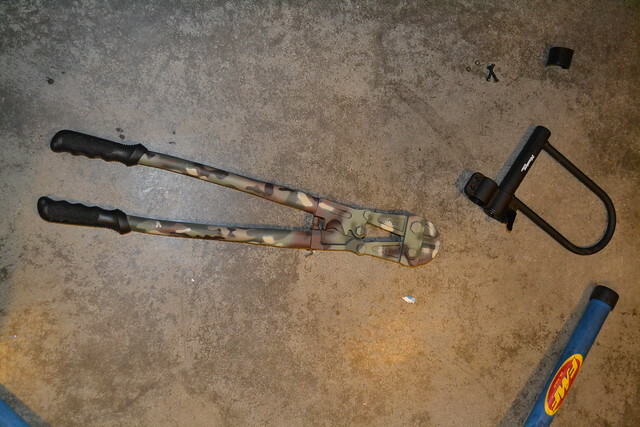 First up: 24″ bolt cutters with a jaw capacity of 10mm. Let’s get something clear right up front — many of you know that I am not a particularly large or muscular person. At my heaviest, I weigh somewhere under 150 pounds. Well, it came as a shock, then, when I applied a bit of force to the handles of my bolt cutters, I could feel the jaws digging right into the steel of the U-bar! I peeled off some of the vinyl coating and discovered two clear indentation in the steel. I moved my tool over to the other side of the shackle, braced one cutter handle against the ground and pumped a couple times with about 50% of my body weight. SNAP! The jaws clamped shut onto empty space! At this point, the lock was defeated; so rather than trying the other tools, I called it a day. Let’s be clear about another important point: ANY lock can be defeated given enough time and and arsenal of tools. 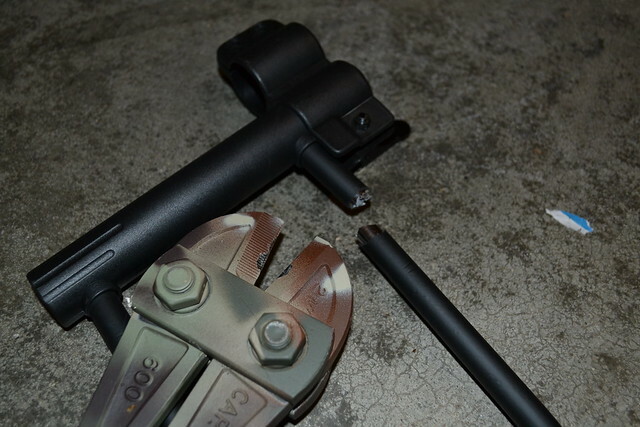 The toughest lock on Earth is no match to an electric cutoff wheel…but in my humble opinion, a U-lock should be able to withstand a fairly casual application of bolt cutters. Let’s say, then, that this Masterlock U should only be used for “moderate security”…perhaps where there is nosy foot traffic near the lockup point, or a lowish-crime area. This is NOT an overnighter’s lock, in other words. Retail price for each lock is right around $16.00. That’s pretty cheap! Are there better locks on the market? Of course — in the lock world, you do get what you pay for. Both of these locks are suitable for casual, quick lockups…but neither lock would I trust to secure my prized bikes overnight or in high-crime areas. Not sold on these models, but are a fan of the brand itself? Have no fear: Masterlock does have a number of other locks in its stable, including stout ones with sizeable anti-theft guarantees. Check out the rest of their lineup by visiting their website.